Secretary of State, Karen Bradley MP, today announced the reappointment of Les Allamby as the Chief Commissioner of the Northern Ireland Human Rights Commission for a further period of two years from 1 September 2019. The Commission was established as a result of the Belfast (Good Friday) Agreement 1998 and has been in operation since 1 March 1999. Its governing legislation is the Northern Ireland Act 1998, as amended by the Justice and Security (Northern Ireland) Act 2007. It is designated as a non-departmental public body, and receives grant-in-aid from the United Kingdom (UK) government through the Northern Ireland Office. It reports to Parliament through the Secretary of State for Northern Ireland (NI). The Commission is a National Human Rights Institution with A status accreditation from the United Nations (UN). This recognition means that the Commission operates independently in full accordance with the Paris Principles (further information is available here. Its accreditation affords special access to the UN Human Rights Council and treaty bodies, and remains valid until the next periodic review in 2020. 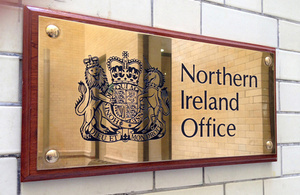 Appointments to the Northern Ireland Human Rights Commission are regulated by the Commissioner for Public Appointments and made in accordance with the Governance Code on Public Appointments. Mr Allamby was appointed in September 2014 for an initial five year term. His second term will last for two years until 31 August 2021. All appointments are made on merit and with regards to the statutory requirements. Political activity plays no part in the selection process. However, in accordance with the original Nolan recommendations, there is a requirement for appointees’ political activity in defined categories to be made public. No political activity has been declared. This appointment is made by the Secretary of State in accordance with the provisions set out in the Northern Ireland Act 1998.